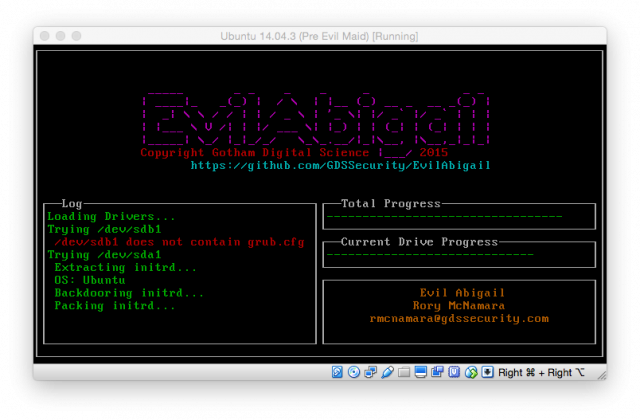 EvilAbigail is a Python-based tool that allows you run an automated Evil Maid attack on Linux systems, this is the Initrd encrypted root fs attack. An Evil Maid attack is a type of attack that targets a computer device that has been shut down and left unattended. You should really provide links to source rather than posting binaries and zip files. Who really trusts an internet website posting hacking tools without the source?